Is Reiki practice enough? Yes, and no. Reiki practice is enough in that it is holistic and complete, engaging the receiver in self-healing at every level. Since Reiki treatment is balancing and gentle, and allows the receiver’s system to respond as it is able, Reiki practice on its own is inherently safe. Adding healing modalities to make a Reiki treatment stronger doesn’t make sense, because the receiver’s system is already doing all that it can. Practicing Reiki only in any given healing session enables the system to find its center and heal at its own pace, strengthening itself organically from within. Adding healing modalities shifts the session from being a Reiki practice session, which is balanced and balancing, to being an intervention, which imposes an intention and thus never carries the inherent safety of Reiki practice. Adding interventions to a Reiki treatment risks overwhelming the receiver by giving it too much outer stimulation to respond to, and doing so just as the system is drawing naturally towards its core (and we know how good that feels). And some interventions completely override the body’s wisdom, forcing it in a different direction. When we gild the lily, we risk wrenching control from the client, and we become busier and busier, farther away from the profound stillness and silence that Reiki practice offers both receiver and practitioner. When modalities are added, we lose one of Reiki’s most valuable aspects, its simplicity. 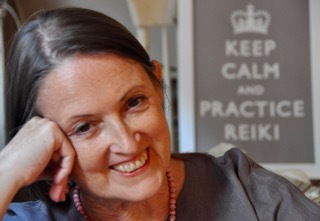 Reiki practice is enough on its own, and we still clearly need more avenues of care than our regular Reiki treatments. We might, for example, reach for hydrosols or essential oils, take nutritive herbs, or detox in therapeutic salt baths. There are times — a frozen shoulder perhaps — when targeted treatments such as acupuncture or shiatsu will give faster specific results. Our bodies need to move, whether through walking, sports, yoga or dancing around the house. And bodies benefit from skillful manipulative care, the subtlety of cranial-sacral osteopathy and orthobionomy, massage therapy, or more invasive deep fascia-freeing bodywork. No single modality addresses all of our needs. We clearly need more than Reiki practice, just not at the same time. Since Reiki practice promotes overall balance, it’s a good start, and a strong foundation. And at times when invasive care, such as surgery, is needed, Reiki treatment helps the body cooperate, and then heal faster from the trauma. We are fortunate to live in a time when we have many choices for our self-care and our health care. Reiki practice will not be the only care we ever need, but that is a practical matter, not a matter of lack. Are you part of our Reiki, Medicine and Self-Care community on Facebook? Join our daily conversations about Reiki practice and communication to broaden your perspective, deepen your understanding, and strengthen your communication skills. Sign up for emailing list. Join here. I agree with what you’ve said. I think we’re saying the same thing up to a point. As a Reiki healer too (as different from a Reiki Practitioner) I have kept the systems separate – homeopathy in its own place and reiki in its own. Only recently I realised that when that figure-8 isn’t completing, and the flow isn’t there, homeopathy completes it. On some higher level, which I refer to as bodhisattvic, homeopathy and reiki are just a part of a greater whole – an energy medicine and method. The difference is only in our perception, not in reality. All true healing must be one on some level, just as we’re all one mind (like in Rupert Sheldrake’s theory) whether we perceive it or not. Thank you for the stimulating discussion, Yoda. I agree that true healing takes place outside the time/space grid. After all, that’s why it is healing. But I maintain the distinctions not only among practices, but also between spiritual practice (meditation, Reiki, yoga, tai chi, prayer, etc.) and energy medicine. The responses sometimes look the same, but practice is focused inward and is not results-oriented in the way energy medicine and conventional medicine are. Rather, spiritual practice opens the door to experiencing and identifying healing even when there are no measurable improvements, thereby understanding healing at increasingly subtle levels. Why does this matter? Because healing is always available, even when cure or even measurable improvement is not. Focusing on results tends to undermine the most powerful benefit that spiritual practice can bring, true self-determination and transformation of consciousness. I enjoyed the discussion too much to worry about where you draw the line vs where I do. :) I was pleasantly surprised to see someone in the Reiki community asking the question at all! I agree that healing seems to be mostly about a transformation of consciousness – that appears to be the only purpose, not a physical cure. But the transformation which comes with combining methods and not keeping them separate seems to be a whole new level – at least, that’s how it seemed to me. I expect the future of Reiki to be an area of growth that no one has tried before – not just more symbols, more initiations but new applied combinations for micro and macro healing. First, I have to agree that Reiki is complete as a spiritual practice. Your road to personal enlightenment couldn’t be improved by any add on … unless you’ve hit a block. I think that’s when people look for new ways to break through, and I think they owe it to themselves to try. The area that I’m really interested in is healing others. I’ve often had trouble with Reiki as a healing art. As I’ve had trouble with homeopathy and other healing techniques. Lately I’ve begun to combine Reiki with Homeopathy and have had wonderful results for my animals and myself. I don’t know if that’s the way through a block (or around it:) but my ability to heal has definitely started to improve. I don’t know what you mean by combining Reiki and homeopathy. People can practice Reiki self-treatment and still be under the care of a homeopath. Similarly, people who practice Reiki might also practice yoga or tai chi or meditation in different sessions. Or are you giving people homeopathic remedies during their Reiki treatment? The perspective of a spiritual practice is not to be attached to results or judge what is happening with others. That is very different from the fixing perspective of a medical intervention. I’m holding the homeopathic remedy in my hands and either doing a hands-on, proxy-healing or distance-healing through Reiki. I’ve found that it not only improves the healing for the patient, but it improves my ability to heal as well. I don’t mean just as a medical intervention, but I have often wondered if a healer, say, who has cancer, tries to heal others, would that problem affect their capacity to heal? Surely the healer has some blocked chakras or meridians that will affect the flow of energy. Animals that have refused homeopathy and reiki independently accept the healing when they’re combined. That being said, I think the reason it works better has something to do with the bodhisattva level of ourselves – wishing all beings happiness and putting your healing out there. I felt guided when I tried the combination and I still don’t know why it works, but it does. Beautifully. 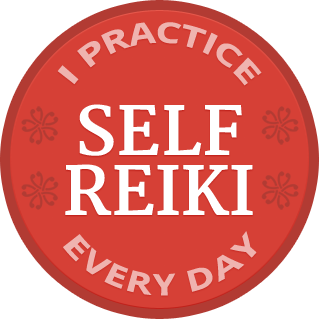 It’s not that what you are doing makes me as a Reiki practitioner unhappy, it’s that it is not practicing Reiki; it’s using Reiki as an intervention to make something happen. Healing in the way you talk about it is a completely different process than practicing Reiki. Reiki practitioners aren’t healers in the sense you write about; they are practitioners. The healing comes from within the person, according to the comprehensive functioning of the system’s own self-healing mechanisms. When practicing Reiki, we are not drawing from our own vitality, but rather facilitating the balancing of the receiver’s system from within the receiver. What’s “flowing” is the receiver’s own subtle circulatory system. Within reason (meaning one has to feel well enough to go through the actions of practicing), the health of the practitioner’s system only matters to the practitioner’s health and well-being, not to the receiver. The practitioner’s system is responding to the Reiki connection as well as the receiver. Both systems are healing from within themselves, independently, in response to the shared Reiki connection. Think of a figure 8, with the intersection being the Reiki connection. I’m not trying to get you to change what you are doing if it works for you, just having a discussion. Yes. I believe Reiki can be used as a distinct practice on it’s own. Having been trained by one of the simplest energy schools I think it’s a shame crystal are added it sometimes. I think for complete care you should consider doing EFT (Emotional Freedom Technique) in a separate session as it helps you vocalize what is going on for you. It’s important to face yourself. Otherwise Reiki can be used as a way to hide. Imogen, I agree that EFT is a very useful healing technique, and one that people can learn to practice on themselves as well as working with a professional. I don’t agree with your statement that Reiki practice can be used as a way to hide. Reiki is a spiritual practice that increases our self-awareness and confidence. Over 25 years of Reiki practice, I have seen people find the strength and sense of wholeness to be able to address what needs to be addressed in ways that are meaningful to them. Doctors, nurses and psychotherapists who were collaborating on patient care have often noted the increase in their patient’s self-awareness when they started receiving Reiki treatment or practicing self-treatment. Increased self-awareness has been documented in people in treatment for substance abuse. that insecurity that drives “adding on” to a Reiki treatment. Ellen, I completely agree with you that insecurity often drives the “adding on” of modalities to a Reiki treatment. Reiki practitioners are big-hearted people who want to help, and Reiki practice is technically uncomplicated. Many practitioners are not taught to practice daily self-treatment, or they are told only to do so for three weeks. These factors can lead practitioners to try to help other people before they have had enough experience to appreciate deeply how much happens during and as a result of a Reiki treatment. Thank you, Gisela and Dana. I agree with both of you that Reiki practice helps with clarity and willingness to make changes that would enhance our health and well-being. I find it also can clarify what modalities might be useful for addressing any particular situation. Dana, I draw a distinction between a spiritual practice such as Reiki, yoga, meditation or tai chi, and a healing intervention or modality. Bringing moments of Reiki touch into other care, including conventional medical procedures, helps balance the system and bring an element of healing to even the most invasive procedure. Because Reiki is a balancing practice, it supports and does not override either the person’s system or the pathways of an intervention in process. Thank you, Pamela, for this wonderful article. I agree that there is a difference between adding an intervention to Reiki treatment, versus adding Reiki to another healing modality. I know a Rolfer who always adds 20 min of Reiki treatment at the end of her sessions, because it helps her clients not “fall apart emotionally”. In order to make informed choices about our health care we need to know what each modality is doing for us. 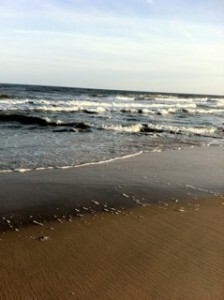 Then we can decide which healing practice works best for us on any given day. I think it always needs to be communicated to the client if modalities are being mixed. What is so key here (and often difficult for practitioners to understand) is the intervention aspect of adding other modalities into a Reiki treatment. It puts us in the position of being diagnostic and making decisions on behalf of the recipient, rather than being present with Reiki and allowing the body’s own healing wisdom and capacity (as Gisela mentions) to do the healing work. I’m also glad that you mentioned that no single modality meets all of our needs. I tell my clients and students that Reiki practice and treatment is a tool we can use to facilitate greater balance and awareness in our lives, but there are also many other tools or practices we can tap into to support our life and health. And I do agree with Gisela that Reiki treatment can help us gain clarity with regard to changes we may need to make in order to further those objectives. I wholeheartedly agree with you Pamela that Reiki is a complete healing modality & that by adding other approaches we may detract not only from its simplicity but also from its inherent strength of tapping into the body’s own healing wisdom and capacity. I also agree that Reiki may not be the only form of healthcare we ever need, but often times Reiki treatment makes us more aware of and more cooperative with other desirable changes, such as lifestyle adjustments or recognising and accepting other ways in which we may need help. An excellent blog post.